60 Kinoites produced 50 shorts this summer. Watch them all now! KinoDynamqiue 2017 – register now! KinoDynamique is back! 14th till 21st of August international filmmakers from other kino cells and locals engage in two collaborative filmmaking sessions of 60h each. The venue is an old horseracing-track at Vienna’s “Prater”. Join us now by filling out the registration form! If you are new to the world of kino and haven’t participated at KinoDynamique or any other international KinoKabaret – don’t be shy. We value motivation and teamspirit above all other things. 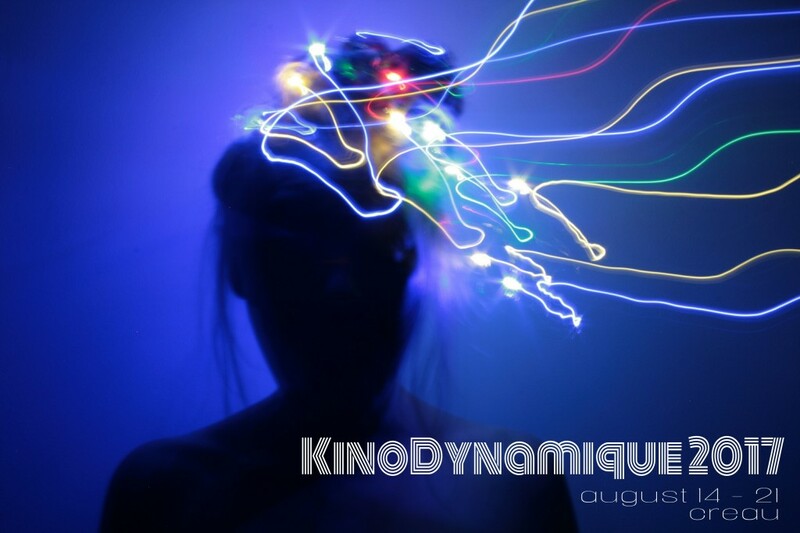 Check out our KinoDynamique page for more infos and a compilation of previous Dynamique shorts. For more infos about this year’s Dynamique click here. How to make your own zombie and kill it. 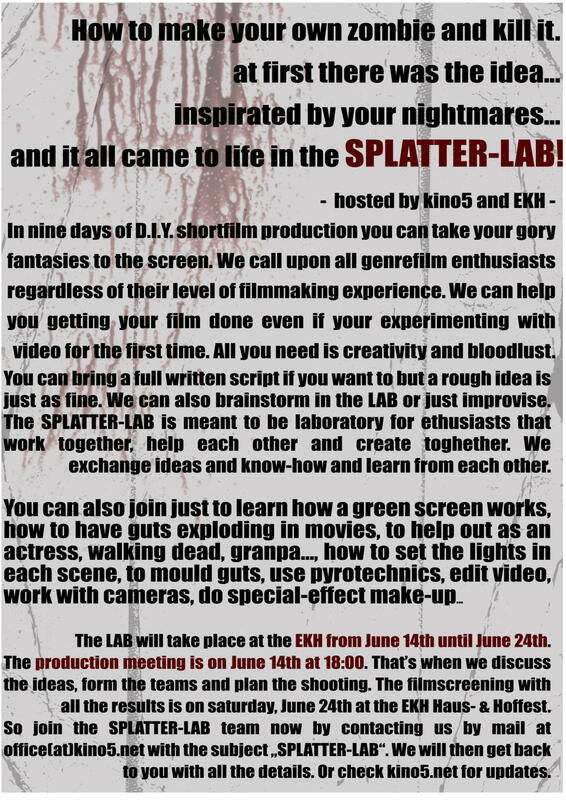 and it all came to life in the SPLATTER-LAB! So here are some of the videos that were produced during the 2nd Session within 60 hours. So here are the films that were produced during the first 36 hours. Als Rahmenprogram für das diesjährige KinoDynamique organisieren wir zwei musikalische Events. Zum Einen wird eine freie Jamsession im Brick5 geplant, und zum Anderen lassen wir das KinoDynamique mit einer großen Abschlussparty enden.